Tile is a great choice for your Phoenix home, no matter what type you choose. It’s a much more durable material than most other options you have, such as linoleum, carpet, or even hardwoods. Yet the benefits of tile vary by material, so your choice is an important one. Porcelain tile is an excellent choice for just about any room in your home, and it comes in enough colors and shapes that you have flexibility in your design selections. Porcelain is a fine material with a beautiful appearance. Once the porcelain is fired, a glaze is added that gives it a nice shine, some glossier than others. When people see porcelain tile in your home, they are impressed. The tile elevates the look of any room, whether you use it for the floors in your bathroom or a backsplash in your kitchen. The more attractive your home is, the more desirable it will be to potential buyers. And the more desirable it is to buyers, the more valuable it is. Porcelain and ceramic are the same material. However, porcelain is fired at a higher temperature, which makes it stronger and more resistant to common damages. When you use porcelain tile for your floors, you won’t get as much scratching or scuffing. Porcelain can also withstand water damage when it is used on the backsplash, counter tops, or floors in your kitchen or bathroom. So long as you keep your tile sealed and perform regular tile and grout cleaning, your porcelain tile will look great for years. Offering potential buyers materials that will last longer and won’t require as many repairs will make your home more attractive to them. They will be willing to pay more for your home when they know they won’t have to pay as much on repairs and upkeep over time. Most tile has a porous surface that allows water, debris, and bacteria to penetrate the material. Some types of tile are more porous than others, which makes them harder to clean and more prone to bacterial proliferation. Porcelain has fewer and smaller pores, which is what makes it so strong. There are fewer opportunities for bacteria from the dirt on your feet, the food you spill, or pet accidents to breed. That makes your home more hygienic, which makes it more attractive and more valuable to buyers. The only thing you need to do to maintain porcelain tile is to sweep and mop it to keep it free of dirt and dust. You also need to clean up spills as they happen so the liquids don’t have a chance to sit on the surface and break down the grout or penetrate the material. 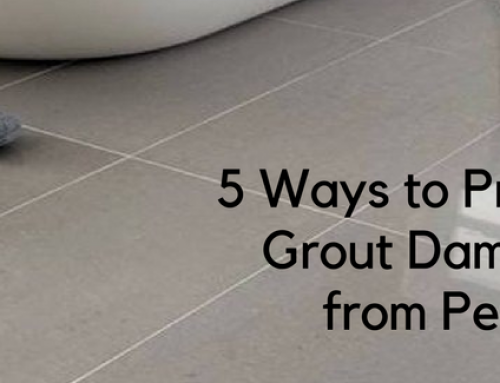 Maintaining a regular schedule of sealing grout will also protect the tile. If you neglect the tile, you can hire professionals to perform thorough porcelain tile cleaning near Cave Creek to lift out stains and refresh the grout. Porcelain is a high-quality material, just as is granite, marble, and certain types of hard wood. When buyers see that you have invested in porcelain tile for your home, they know that you have committed yourself to quality. Just seeing that porcelain tile will make buyers think that you have shown the same level of commitment to other areas of your home, as well as to its maintenance. Buyers will be willing to pay more for a home they believe has not only been taken care of, but that has been showered with attention. If you are thinking that you might want to sell your home soon, or if you just want to build up the equity in your home for access to more credit, consider installing porcelain tile in your home. You will see a nice return on your investment once it comes time to sell or to cash in on that equity. If you already have porcelain tile or if you just bought a house that has it, you may need professional tile and grout cleaning to make it look its best again. Americhem performs tile floor cleaning for all types of stone in Phoenix. We restore natural stone to make it look vibrant and beautiful again. We can lift out years of staining and remove discoloration. Call us if you need porcelain tile cleaning or other tile floor cleaning in Phoenix.